1979 CYCLING. 1980 SPORTS CENTENARIES. I will do my best to get back to you as soon as I can. 1980 BRITISH CONDUCTORS. 1980 FAMOUS PEOPLE. I will do my best to get back to you as soon as I can. 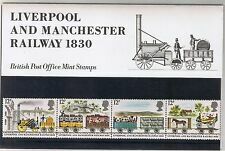 1980 International Stamp Exhibition. Christmas 1980. British Birds. BEING SOLD NO RESERVE SOLD AS SEEN. Mint condition still in plastic sleeves never used. Date: 19 November 1980. Date: 10 October 1980. Date: 1981. Date 6 February 1981. (I have another set of 10 also listed this evening:). Date: 1981. Date: 6 February 1981. 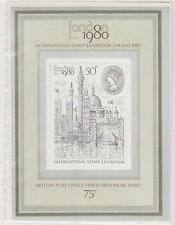 London 1980 International Stamp Exhibtion 6-14 May. There are no outer covers. 7-the duke of edinburgh's award. 10-the national trust. Date: 19 November 1980. Date: 10 September 1980. Date: 16 January 1980. Date: 10 October 1980. Date: 18 June 1980. 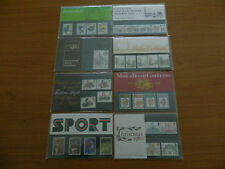 New listing1980 and 81 Xmas Presentation Packs pristine mint in own sleeves,smaller size. 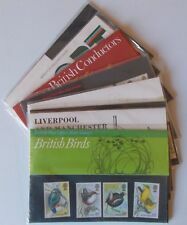 Presentation Packs 1980 - 1984 in Royal Mail Album + Slipcase. Date: 19 November 1980. Date: 10 September 1980. Date: 10 October 1980. Date: 18 June 1980. Date: 7 May 1980. BACKING SHEETS/PAGES are for DISPLAY ONLY and NOT INCLUDED. 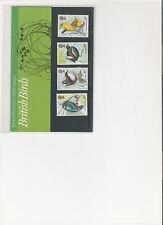 Australian National Stamp Week - Min sheet. Australian Sporting Personalities. Australian Folklore.